Rockwell Automation’s Allen Bradley PowerFlex 525 AC drives are affected by a critical denial-of-service (DoS) vulnerability that allows hackers to take control of devices. 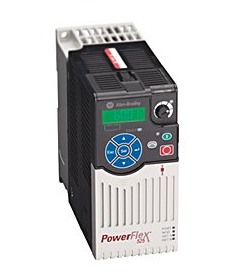 PowerFlex 525 AC drives are designed for controlling electrical motors. Unlike traditional drives, these devices offer advanced features, such as embedded Ethernet/IP communications and USB programming. Rockwell Automation says the product is ideal for conveyors, pumps, fans and mixers. Nicolas Merle, a researcher at industrial cybersecurity firm Applied Risk, discovered that the PowerFlex 525 drive is affected by a serious DoS flaw that can be exploited to disrupt the configuration and control software associated with the device by sending it specially crafted UDP packets that cause the Common Industrial Protocol (CIP) network stack to crash. Exploitation causes the software to disconnect from the device and block legitimate users out, but an attacker can continue sending commands to the system. A hacker could, among other things, change the speed of the drive or send it start/stop commands, Merle told SecurityWeek. The only way for victims to regain access to the device is to perform a power reset. “An attacker, on the other hand, can write a simple script to initiate the connection and not close it. The commands can still be sent to the device in this state and the device will still execute them. In this way, as long as the attacker does not stop the connection, they can continue to send commands and request information. As soon as the connection is terminated, a cold reboot is required for the device to accept new connections,” the researcher added. Applied Risk says it has uncovered the flaw in version 5.001 of the software, but believes older versions are likely affected as well. The firm says Rockwell Automation has developed a patch, but the vendor has yet to publish a security advisory.